I. 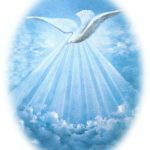 The Deity of the Holy Spirit – the Holy Spirit, though He is a tremendous power and influence in the emotions and will of people, nevertheless – above all else – is a Person, and that Person is God! B. He is part of the Trinity – 1 John 5:7 ” For there are three that bear record in heaven, the Father, the Word, and the Holy Ghost: and these three are one.” Matthew 28:20 “Go ye therefore, and teach all nations, baptizing them in the name of the Father, and of the Son, and of the Holy Ghost:” Notice the word “name” (singular), not “names” (plural). Matthew 3:16-17 “And Jesus, when he was baptized, went up straightway out of the water: and, lo, the heavens were opened unto him, and he saw the Spirit of God descending like a dove, and lighting upon him: And lo a voice from heaven, saying, This is my beloved Son, in whom I am well pleased.” Matthew 4:1 “Then was Jesus led up of the spirit into the wilderness to be tempted of the devil.” 2 Corinthians 13:14 “The grace of the Lord Jesus Christ, and the love of God, and the communion of the Holy Ghost, be with you all. Amen.” 1 Peter 1:2 “Elect according to the foreknowledge of God the Father, through sanctification of the Spirit, unto obedience and sprinkling of the blood of Jesus Christ: Grace unto you, and peace, be multiplied.” Notice the equality shared by the Holy Spirit with the Father and the Son. II. 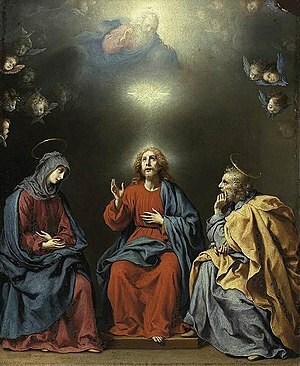 The Personality of the Holy Spirit – The Holy Spirit of God is a Person, just as much as the Father and Son are Persons. Therefore, He experiences all of the elements involved within a personality. A. He is male – John 16:13 “Howbeit when he, the Spirit of truth, is come, he will guide you into all truth: for he shall not speak of himself; but whatsoever he shall hear, that shall he speak: and he will shew you things to come.” Jesus called the Holy Spirit “He,” “Him,” or “Himself” 20 times in John 14-16. We also find how He is referred to in the male gender in Hebrews 10:15; 1 Corinthians 12:11; 2 Thessalonians 2:7; and Acts 13:2. Hi, I love your posts! It’s an inspiration to women like me. God bless you! Thank you for stopping by and, thank you so much for the wonderful compliment. It is my heart’s desire to be an inspiration to other women. I did go visit your blog and I like it very much. You have quite a way with words and I love how you share from your heart. God Bless You! Sing your song today 😀. God bless you! My book just came out the other day! I didn’t know if you knew or not. I am so excited! Yes, I saw that, and congratulations to you young lady! I saw that it is on Amazon. Maybe I could get it on my kindle when I finish the one I am reading by David Jeremiah, “What in the World is Going On?” God Bless You! It won’t be available on Kindle yet..I have to pay them $500 to get it in eBook. I’m sorry… ;-( Thanks and God bless you!